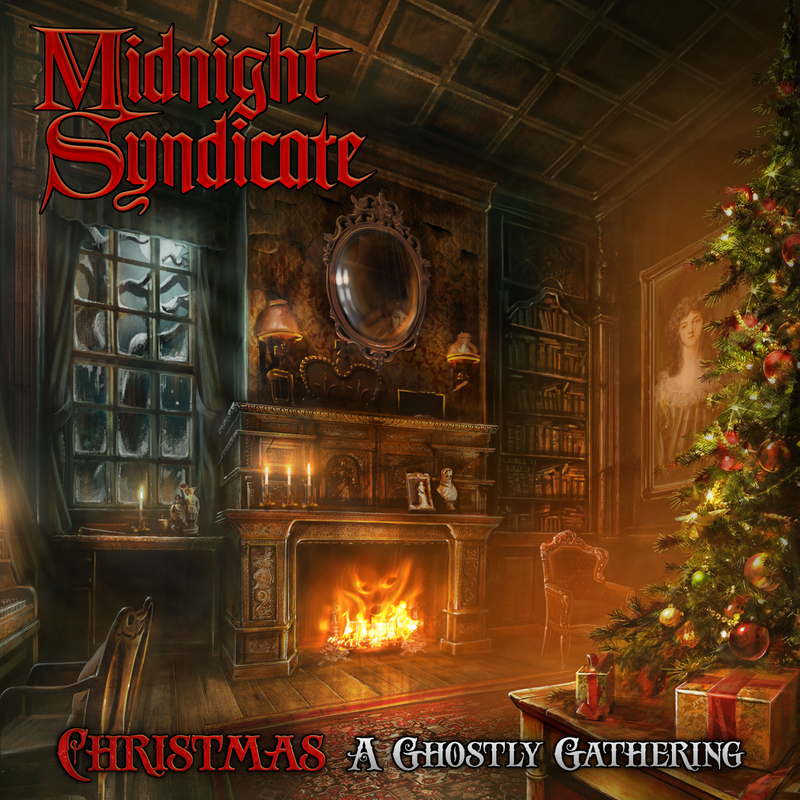 For Midnight Syndicates 18th album there is slight departure from their usual epic Halloween and horror film soundtracks as this time they have gone for injecting some darkness into the spirit of Christmas. Opening with Christmas Overturea darkened and deliberately untuned hints of Jingle Bells on Christmas morning. Nice! Then comes a spine tingling version of Dance Of The Sugar Plum Fairy with dramatic darkened gothic overtones. Love it! Carol Of Bells – monastic chants and over the top Bell chimes with a hint of pending doom. Great! Night Of The Krampus is definately inpsired by the film of the same name and injects horror into the fetive frivolities. Angels We Have Heard On High played on a harpsichord and church organ with martialled drums. Nice! Next comes the old English classic Greensleeves given the epic filmscore feel. Up on The Housetop must be Satan Claus up there! Dark! God Rest Ye Merry Gentlemen is given a haunted upgrade. Coventry Carol an old English carol about The Massacre Of Innocents by Herod which this version captures the impending doom perfectly! Little Helpers conjures up images of very evil beings! Sing We Now Of Christmas is french hymn given a unique haunted filmscore feel by Midnight Syndicate. Winter Storm what a great horror tinged track! Love it! Into The Stillness has a martialled neoclassical feel. Parade Of The Tin Soldiers is a reworking of Leon Jessel’s masterpiece. Great! Everywhere Everywhere Christmas Tonight has been given an uber Germanic feel. Christmas At Midnight brings the album to a close of yet another album that sounds like a great filmscore. If you want Christmas music with a dark feel and the cheese removed then this is for you!